GENEVA (AP) — Wars in Iraq, Syria and Yemen have killed hundreds of thousands of people. Enforced disappearances, torture and extremist attacks infringe on human rights worldwide. Tyrannical, autocratic leaders and their allies from Belarus to Burundi repel dissent with an iron fist. As the council convened Monday in Geneva for its second, weeks-long session this year, "Item 7" considers the human rights implications of Israel's occupation of Palestinian territory. The standing item at the 10-year-old council has come to exemplify the spotlight on Israel in a number of U.N. bodies. 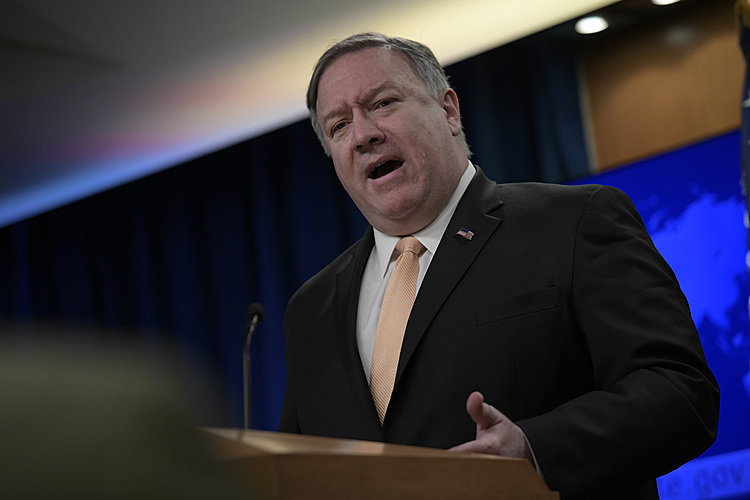 "I don't know whether it's fair or unfair, but it's obvious that the majority of members want to continue to focus on the situation of Israel and Palestine," council president Choi Kyong-lim told The Associated Press. "The U.N. continues to single out Israel, the one liberal democracy in the Middle East," said David Keyes, Prime Minister Benjamin Netanyahu's spokesman. "Imagine that. A country with free speech, free elections and minority rights is condemned more than mass murdering dictatorships like North Korea, Iran and Syria. That speaks for itself." Shortly after taking office in 2007, U.N. Secretary General Ban Ki-moon criticized the standing item on Israel, saying he was "disappointed at the council's decision to single out only one specific regional item, given the range and scope of allegations of human rights violations throughout the world." Over the years, the council has variously criticized Israel's presence in the Golan Heights and its detention of Syrian suspects without trial, a lack of cooperation with U.N. human rights investigators, its expansion of settlements in the West Bank, and its muscular and at times deadly response to militants' rocket attacks from Gaza that have killed Israeli civilians. Israel's expansion of West Bank settlements in recent years has garnered sharp criticism, even of allies. —Israeli officials bristled after the U.N.'s cultural agency, UNESCO, passed a resolution in April that put the Western Wall in Jerusalem — Judaism's holiest site — in quotation marks and described other Jewish sites as "so-called." 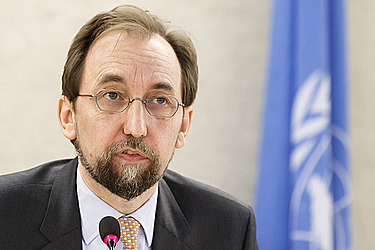 —An HRC resolution in March called on U.N. human rights chief Zeid Ra'ad al-Hussein to set up a database of businesses operating in settlements in the West Bank and Golan Heights. U.S. Ambassador Keith Harper said that move "only serves to reinforce the council's one-sided actions against Israel." —On Friday, Zeid condemned Wednesday's gun attack in Tel Aviv that killed four people. But he quickly expressed concern about the response, saying that Israeli authorities could be engaging in "collective punishment" with some measures against Palestinians like canceling 83,000 travel permits granted to West Bank and Gaza residents during Ramadan. Israel's mission in Geneva accused his office of "using the murder of innocent Israelis to attack Israel." "Israel tries to say that the U.N. is not the place to solve problems," said Palestinian Foreign Minister Riad Malki. "Israel tries hard to single out the Palestinians by saying the conflict will be solved by the two sides and in the same time it continues confiscating lands and building settlements. Israel ... doesn't listen to anybody." John Fisher, Geneva director for Human Rights Watch, said that while his group believes Israel's record deserves attention, it also has been calling for "attention to situations that are not on the council's agenda at all, but should be." On the side of those less influential, there's Eritrea: a small, poor country on the Red Sea whose African neighbors want to highlight in this session with a resolution critical of its rights record.